Home > Google News > Google SEO > To Survive You Must Give Google Your Structure Content & Data? Greg Niland, aka GoodROI, posted a thread at WebmasterWorld arguing that if you do not hand over your data and content to Google in a structure format, then you will die a slow death. Some of you are probably thinking that using schema or HTML 5 simply makes it easier for the all-evil Google to steal your content. I'll be honest you do have a valid concern but if you ignore it, it will not go away. Your competition will do it and Google will get the content from them and give them the traffic. You need to figure out a new strategy for your site to deal with the current situation so you can incorporate these best practices and still profit. Maybe something like putting the best content behind a paid wall? Get creative! Holding on to old techniques and technology is not a smart idea. It is like insisting on only selling printed newspapers and ignoring the fact that the world has changed and now people like to get their news online. Change is not fun but staying up to date on best practices is vital to success. There are many SEOs and webmasters out there that don't want to give Google all their data and then let them use it in the knowledge graph without any link credit or potential to make money. But the question is, if your competitors do it, you will lose out anyway. It is a hard call to make. You have data, the data is awesome, Google doesn't have access to it. Do you give it to Google in a structured format, such as we discussed with searching within apps or do you withhold? Is there a win-win solution to this or is the only winner here Google? Do you need to give Google your content in a structured format for your site to rank? If so, how long until Google replaces your site with the knowledge graph? 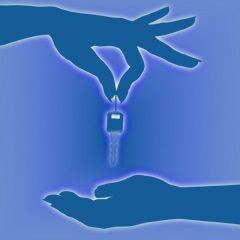 Are there ways to benefit without handing over the keys to your business? These are the decisions SEOs are making in 2013 and 2014.